We have a big day planned. Headed to the library to get the Sound of Music, to Dallas to the AAC to get our circus tickets (this is a great thing) and to do some shopping in Dallas. I’m going to let you in on a little secret. Circus tickets, the good ones, are $30 each. That’s for lower level. The higher ones are $15 and $10 each. The kids each earned a FREE ticket to the circus. Now, you might be thinking, yeah, that’s probably the $10 nosebleed section tickets they earned, but no, they were the $30 tickets. There are more expensive tickets (“front row” and “VIP”), but free $30 tickets make us quite happy. The only caveat is, though, that you have to exchange your vouchers in person at the AAC box office. Which is not exactly convenient. So, how exactly did the kids earn their tickets, you ask? SUMMER READING PROGRAM, I tell you. At the LIBRARY!!! And this is how easy it is: Read five books (or have your parents read them to you) and then have the library stamp your voucher. How easy is that? If you’re going to do it, though, you have to exchange those vouchers early. The good seats for the weekend shows were going quickly. However, we were able to get tickets for the Tuesday night show at (what would be) center court, about 1/3 of the way up on the lower level. $180 worth of tickets for the bargain price of $60 (one ticket for me and one for John!). After the AAC, we go to the American Girl Store to get Charlotte’s Birthday present (a Bitty Baby). And this is where it gets a little cooky. We park in the parking garage and get out to walk in to the store. We get out and as we are walking away from the car, we realize that there is something underneath, right in front of the rear tire. It is a giant human turd. I don’t even know if I spelled that correctly, but that’s what it was. I can’t even believe it, it’s so disgusting. Really, I didn’t think that’s what it was because it was so large. It looked like that spray foam insulation stuff, but we're pretty sure that flies aren't that attracted to foam. Another stop at the “Scrapbook Barn” and then we are on our way home. Oops, we are headed northbound on I-35 at 4:45 in the afternoon. Not the smartest move on my part. We divert onto 3040 and continue on what would be John’s commute if he were home. From the intersection of 3040 & 2499 we call and place an order for takeout from PeiWei. Oh, yes, this week just keeps getting better. We make one last stop at Wolf Camera before picking up our food. And now, I’m going to let you in another little secret: $.06 photo prints. Here’s the deal: go to ritzpix.com and upload your photos. Be prepared. It takes FOREVER. You might want to start them uploading, then run a marathon, or you runners might want to go to bed and sleep, because when you finish the marathon, your photos will still be uploading. Anyway, don’t order your prints yet!!! Wait until the next Tuesday or Wednesday. Order 3.5” x 5” prints and they will only be $.06!!! What a screaming deal. Even when you can find them that cheap at York Photo, you still have to pay exorbitant shipping charges. The prints are small, but if you are scrapbooking with them, you’ll probably find that that’s okay, especially for the price. I almost ordered my prints through Shutterfly and picked them up at Target where I would have paid $40. Instead, I paid $15 at Wolf Camera. Yahoo!!! We watched The Sound of Music and then watched a majority of the second disc's bonus materials. 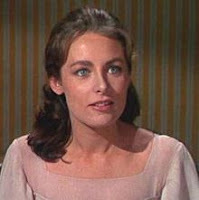 Wow, that Liesl (Charmian Carr) is still beautiful today. And don't even get me started on Captain von Trapp. So that’s Tuesday. I'm all about the great deals and handsome singing men. That's just how I roll.